A flea market however, can offer treasures you didn’t even know you would love without guilt for spending when the future seems vague. The bounty is just waiting to be found by the savvy hunter. You might actually come across a prize hidden in a pile of otherwise certifiable junk. Not to put too fine a point on it: while some sources insist that an antique must be at least 100 years old, all sources agree that a vintage item can be from virtually any decade or era. In other words, the definition of junk is subjective. It could be your fond memory, etc. Outdoor furniture can be used indoors. A dresser can become a sideboard in the dining room or a storage chest can double as a coffee table. Even worn items might be useful. A vintage rug can be re-used to upholster an ottoman or cover throw pillows. It’s amazing what paint can do to change the look and character of an otherwise tired set of dining chairs. Look for old picture frames while you’re at it. They can usually be picked up for the proverbial song and will add a lot of character to your artwork and the rooms where your artwork lives. All together, flea markets can be a great way to augment your collections or acquire unusual “objets” to retrofit into your current décor. Let your imagination out for a jaunt. Jot down a wish list along with a general accessories list, of items for which you might search. Enthusiasm is admirable, but everyone can use a check-list as a guideline and boundary to help curb the kind of impulse buying that would have you schlepping home something that gets a “what was I thinking” response in the morning. Follow The Dealer. In these “off markets”, make a Note To Self: “Buyer Beware And Be Knowledgeable”. You may luck out and find a “real steal” sold by a dealer who doesn’t have a clue of its actual value. Then again, you might also think you’re getting a bargain by virtue of buying at a flea market, when actually you’re paying regular retail, or worse. About those fancy, expensively set-up booths: There’s a trade-fair axiom, that the more fully a booth is merchandised, the more expensive the wares will be. It’s possible such a well-heeled booth is actually an extension of a retail outlet and you will pay the same as at the store location without the benefits of customer service. Good dealers work the fleas and also sell their goods on E-bay, Craigslist, auction sites and blogs. Shop your wish list on these sites in advance and make note of prices and characteristics. You’ll have a better idea of the going market rate for your second hand wares-of-choice and know for sure when a potential find is a steal in disguise. Reconnaissance Mission. Find out as much as you can about the markets you intend to visit. 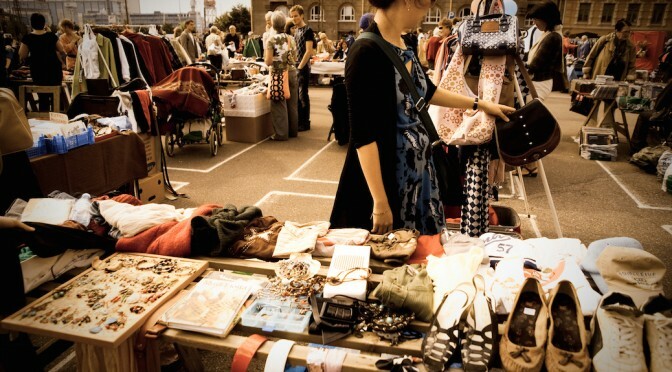 Each flea market can have a different personality and offer different types of merchandise. 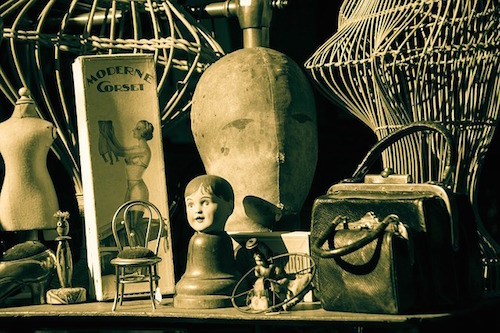 Some may feature primarily collectibles and antiques while others might offer a veritable “kitchen sink” of household items. And then, some “fleas” are just assorted junk repositories. This is not to say “junk” doesn’t have its place; It’s just that, “its place”, may never be your home. This original version of this article was published on Hamptons.com. It’s represented here as a foundation for further topic discussion and updates.